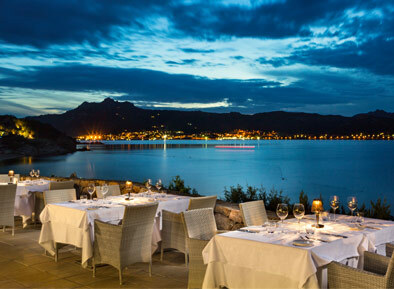 The exclusive privacy and discreet luxury of the Hotel La Rocca Resort & Spa are enclosed in an exemplary manner in the Villa del Parco, the charming annex located within walking distance of the central body and the beautiful Spa. 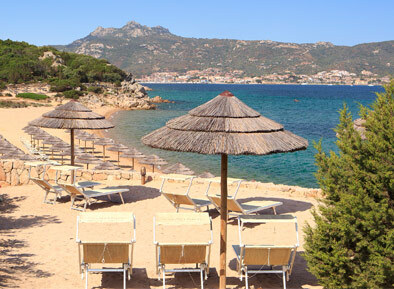 Nestled among the green hills of Baja Sardinia, Villa del Parco is surrounded by a large private park of 1600 square meters, which holds typical plants of the Mediterranean vegetation in a well-kept flower garden. 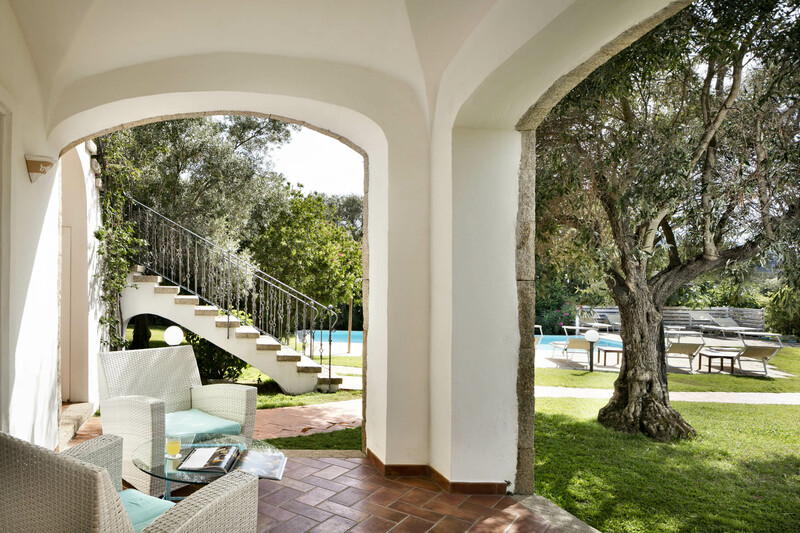 The lucky guests of the Villa have an exclusive private swimming pool at their disposal, embedded within the immaculate green lawn that surrounds the villa. 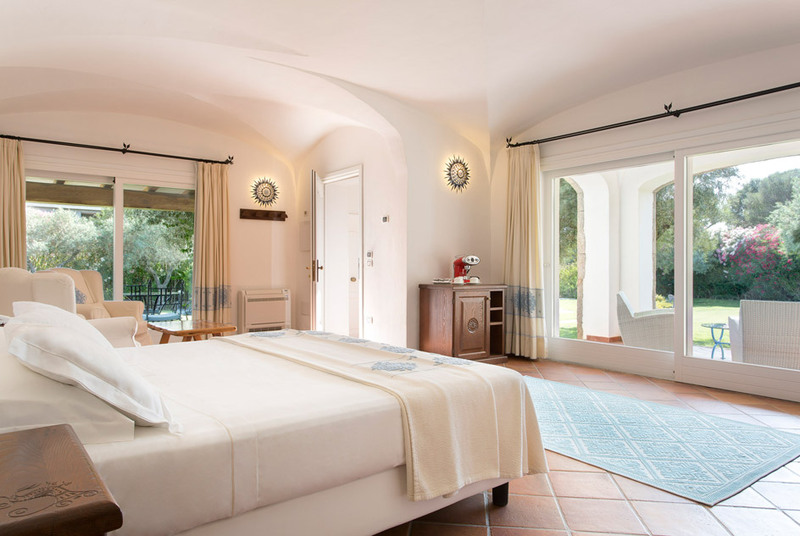 Villa del Parco is composed of three elegant and colorful Deluxe Junior Suites, carefully furnished with handmade pieces of furniture and rich fabrics that recall the cozy simplicity of the Sardinian tradition. Each Deluxe Junior Suite consists of a large bedroom with a sitting corner, as well as a large bathroom with shower and a bath tub with massaging jets. The large private veranda overlooks the quiet garden-park. Every room holds its own, private entrance and can accommodate up to two people; a total of six guests within the entire villa. Privilege for the few: Villa del Parco combines the exclusivity of a villa at the Emerald Coast with the facilities of the La Rocca Hotel, where the welcoming and professional staff are the flagship. Discover Villa del Parco and experience the authentic luxury of a private oasis in the heart of the Emerald Coast.